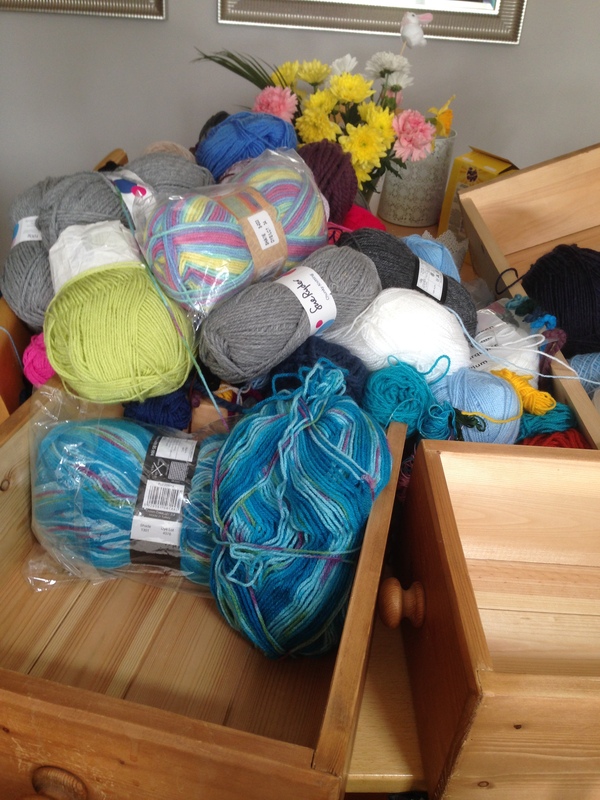 I came to the realisation that I need to sort out exactly what yarn I own. 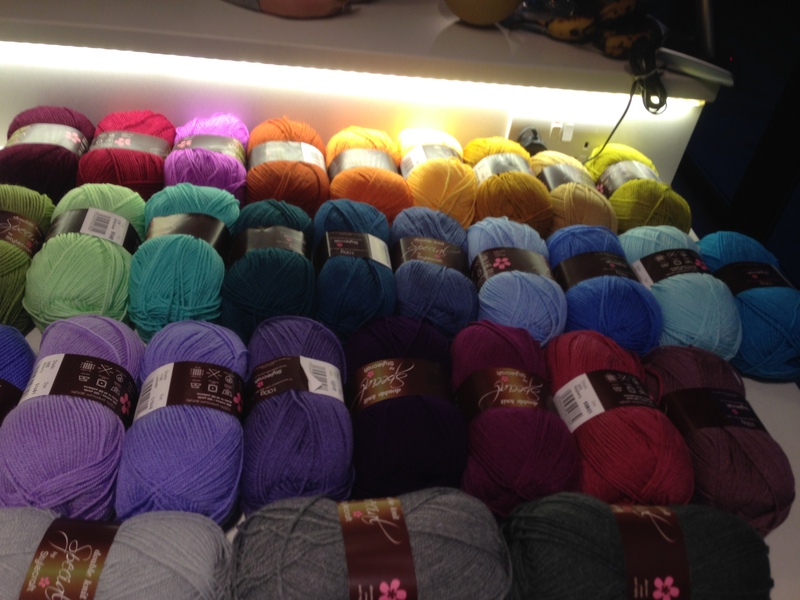 This would then hopefully avoid those moments in a yarn shop when you can’t remember what you’ve got…. well that’s the plan anyway! I emptied by Haberdashers chest with the help of the little people and then “what have I done?” This is what I was left with! Then the little people got bored! Off they went to play but there was no way I could leave all this yarn out. 2. – The extent of my collection would be observed by my husband! I’m lucky enough to have purchased a wool winder – direct from China! 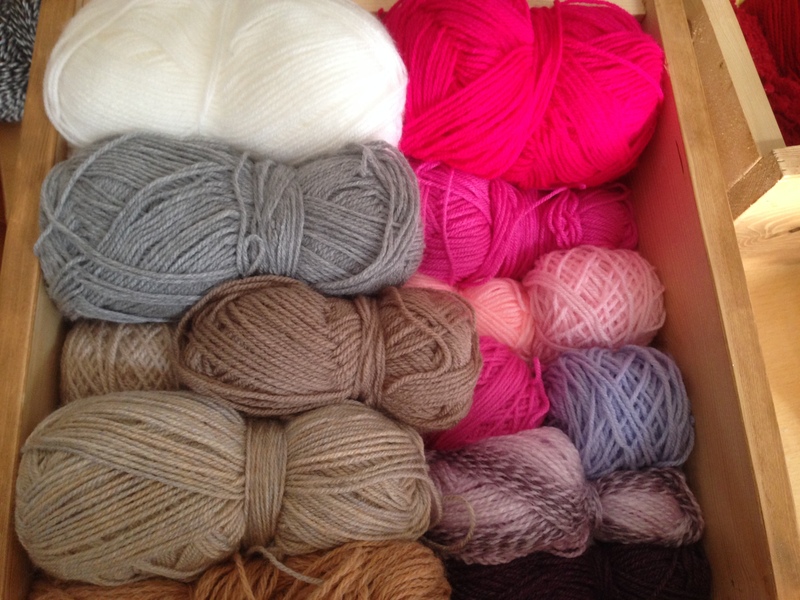 It’s great, only about £8 and makes the job of organising half balls of wool a lot more enjoyable, that and the kids love it – so tend to do it for me! 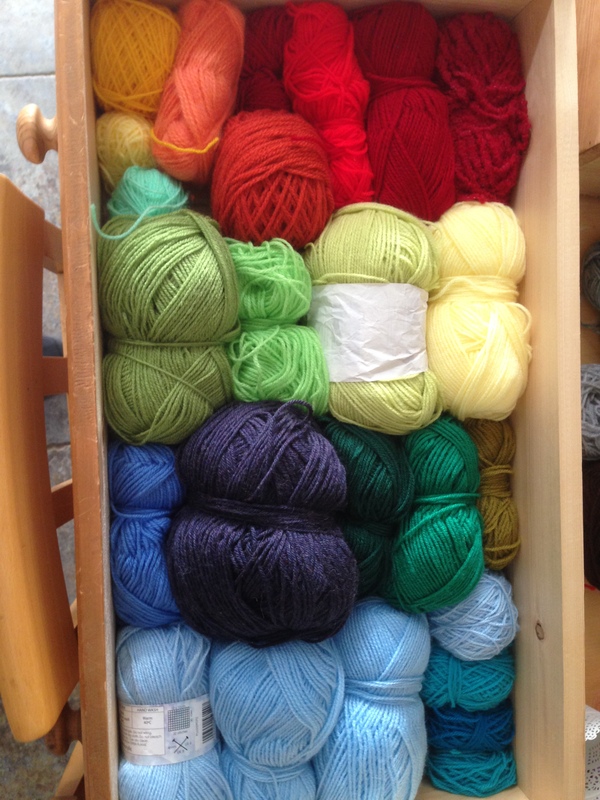 After 2 hours of sorting and letting my little bit of OCD get the better of me (note the organised colours) I was left with these lovely draws of wool. 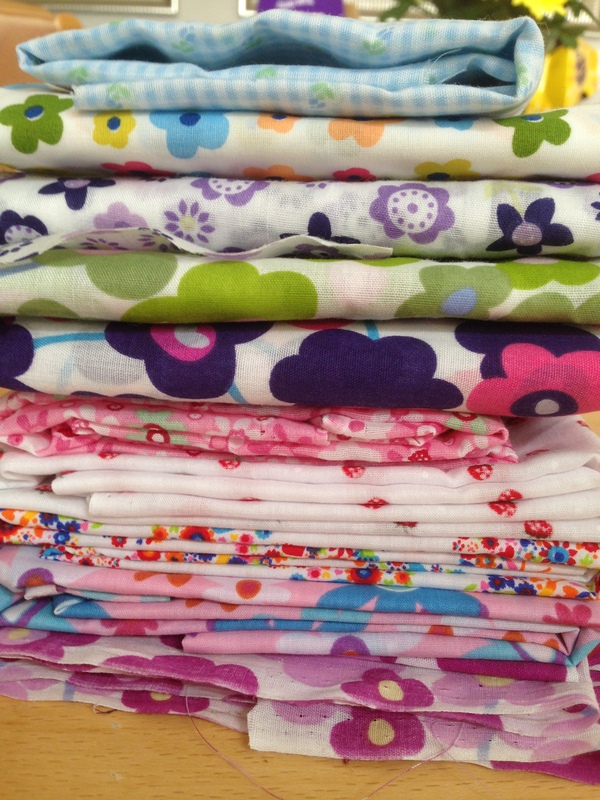 Then to fold the material I have to go on this fab little craft trolley – which I’ll have to share later as it’s so dark here as it’s pouring with rain the photos would be dreadful. So I’m one happy lady with organised Double knitting (pay attention to specifics) . 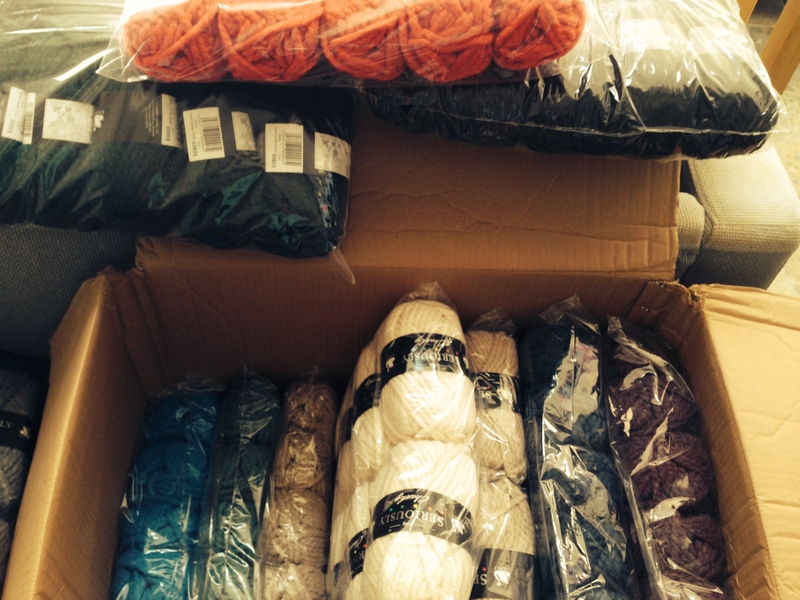 Although………….. this doesn’t include the Sytlecraft DK I bought for blankets. (One was a commission and used 19 colours – but when you have 60 to choose from it’s hard to decide!). My blanket is still a work in progress. Or the Super Chunky I have upstairs in a box. 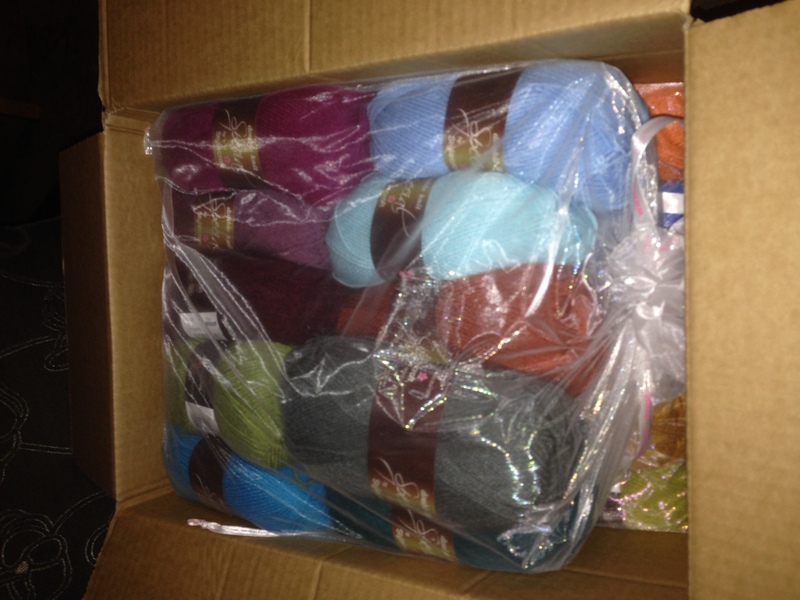 Or the 190 balls of Yarnart Begonia that arrived yesterday! 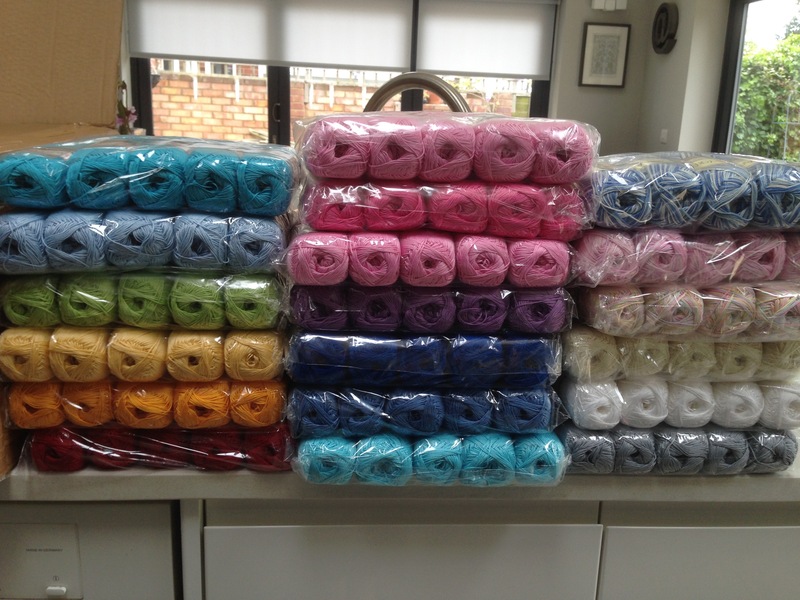 I might have to admit I may have too much yarn!!!! However it didn’t stop me browsing the yarn in the craft shop today, but I didn’t come back with any which I think is an improvement! Next Post I lost my Crojo!